A Sheffield company which supplies branded homewares, garden and gift products for clients including major supermarkets, high street retailers and garden centres has secured a £150,000 loan to support its growth from NPIF – Enterprise Ventures Debt Finance, part of the Northern Powerhouse Investment Fund. IC Innovations produces a wide range of home, garden and gift products, from BBC Good Food kitchen tools and electricals to fun Christmas products under The Snowman brand, and now supplies over 6,000 retail outlets across the UK. 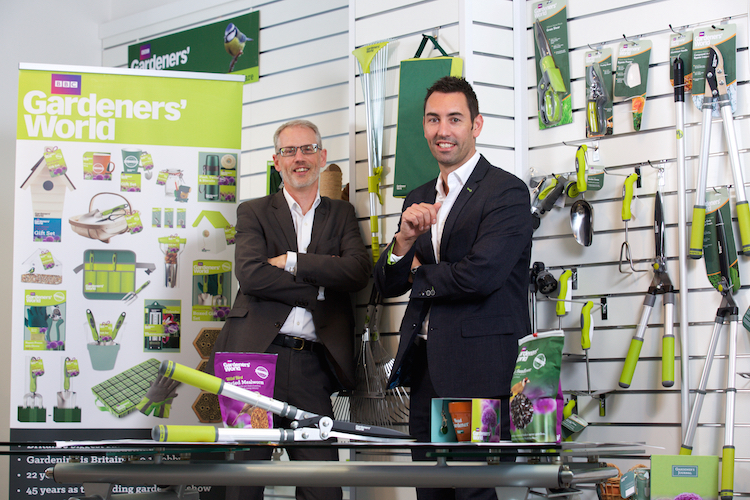 The funding will support the business through its ongoing expansion and help it to meet the the increased stock requirements following the recent high volume contract with its new BBC Gardeners’ World product ranges. The company employs 18 staff in the UK at its Sheffield Headquarters and has two distribution centres in Nottingham and Derby, with Far East offices in Shanghai and Guangzhou in China. It plans to create a further 10 skilled jobs in the coming year. IC Innovations was founded in 2004 by current MD Tristan Cowell who had invented Card HangUps™, an innovative product for displaying Christmas cards. The company soon expanded its range of gifts and seasonal products and identified a demand for high quality household products. Tristan, now 35, was one of a number of young entrepreneurs who were invited to 10 Downing Street last year..